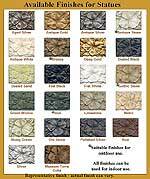 F8475 - 24" Fiberglass Fancy Niche - shown in Antique Stone finish, but also available in many other finishes. 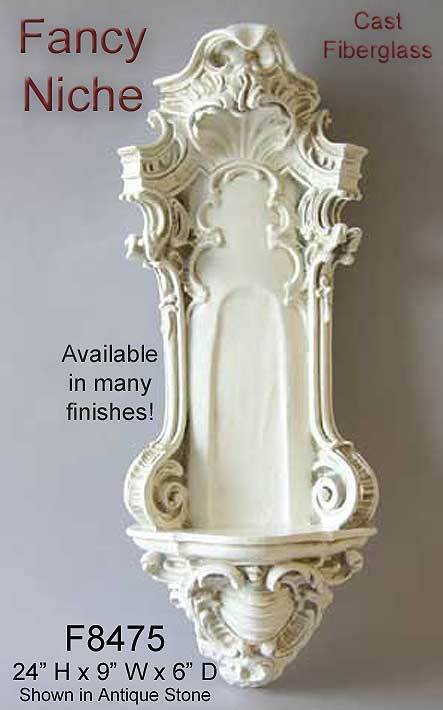 This fiberglass niche is a 24" tall and is available in a wide variety of finish colors. Allow 6 weeks for delivery. Please don't hesitate to give us a call or email us at sales@wishihadthat.com if you have any questions or need an estimated delivery date and we will be happy to be of service!